Drone have been in the hype of news for a few years, you can see them fly in your local aprks and have read multiple news about how Amazon plans to deliver packages with drones or how Zipline delivers blood to African regions in need. Many consumer facing companies and other organisations, even the US government are intensely working on drone programs to accelerate their business, gain productivity and deliver higher value services to their customers. The drone eco-system has been flourishing with new companies from manufacturing to technology and service providers. However, there are still some major concerns preventing the massive deployment of drones for business or consumer use: regulations need to evolve towards an agreeable use for all, safety and robustness need to step up to be generally accepted and not feared anymore and finally, like any product, if it’s too hard to use, does it really bring value? Ease of use is key to general adoption. Although consumers have been rushing to buy drones and are flying them everywhere in your local park and above your head while hiking in the mountains, drones are still under restrictive rules of usage, cannot be used in cities, national parks, near airports and even local agencies restrict usage on their territory. AirMap is reflecting most of the no-fly zones on their app and the US government is putting effort into making consumers more aware and comply with the law, asking everybody to register their device, follow safety rules and respect people’s privacy. AirMap aims at setting low altitude airspace management for UAVs in order to make flying easier and safer for all. 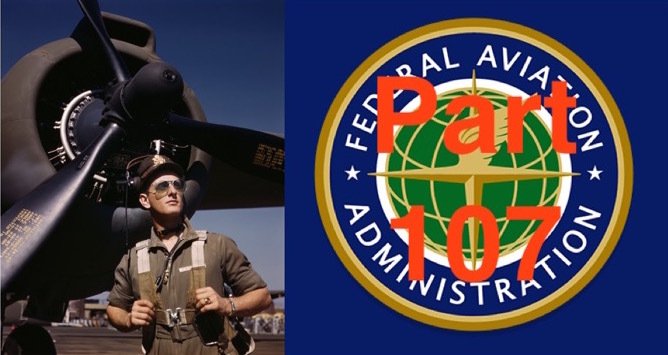 On the commercial side, the brand new part 107 produced by the department of transportation and FAA effective since the beginning of the month just made it a lot easier to take advantage of drones capabilities for businesses. No more piloting license required or filing for an exemption which was a lengthy process for all parts. We should therefore see more and more drones flying around for commercial purposes, due to regulations flexibility, the pressure of businesses willing to use drones to deliver high value services (remember Amazon’s proposal for air traffic segmentation?) and the emergence of UAV ecosystem players coalition pushing for the multiplication of usage, there is no doubt that drones will become easier and easier to fly in the skies. Having an increasing number of UAVs above our heads is fine, as long as they don’t harm anyone, and this is a major society concern. Beyond privacy, you might remember the nearly fatal drone fall during the Ski World Championship last winter, falling right behind a skier on the slopes. 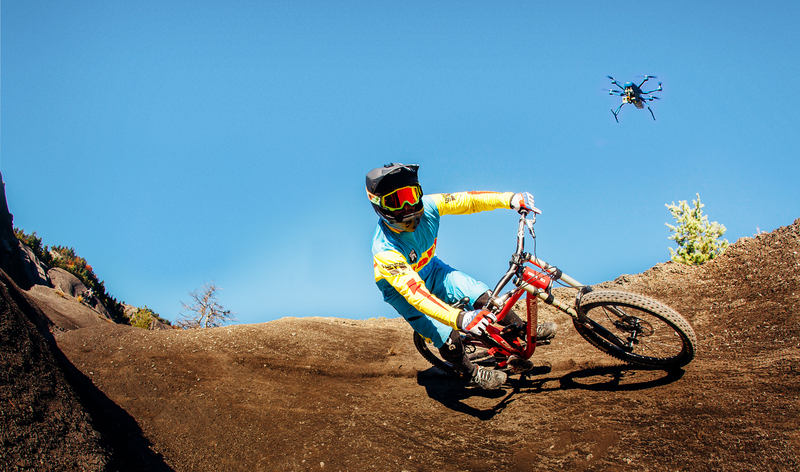 Drones have been forbidden to fly in Rio around the Olympic games areas. You may also find all over the internet videos of drones falling from the sky or flying away for an inexplicable reason. It is critical that the industry players work towards making their systems unable to fail, under any condition, to be accepted by the general public, and most generally to be safe to be around, whether it is a public zone or not. Devices need to be reliable and solid inside out: materials, components and architecture, just as much as in their brain, as they become more and more intelligent. Failsafe behaviors, which are pre-programmed actions that will happen in case of unplanned situation, let’s say a motor failure and be able to fly with one or 2 less motors, anticipating low battery, GPS or connection loss plan for recovery or get a safe landing plan, are critical and too often neglected by too many manufacturers looking at penetrating the market as fast as possible, but this could cost a lot to the whole industry… Fortunately, industry leading manufacturers are integrating these features as they understand the need to overcome this fear to reach mass market adoption. Additionally, beyond the failure events, an overall system quality is required and this goes through the quality of HW but also, and a lot through discipline of development and the ability to ensure the system will NOT fail. Just like civil aviation requires very strict development procedure, similar development methodologies for drones will increase robustness, therefore safety of devices. Finicky drones, fly aways and unknown errors are what make drones unreliable and eventually what ruins the experience. These have already been implemented by few companies and need to expand to a larger spectrum of devices. There are already ongoing discussions about safety certifications, pushing for increased robustness in systems and it will evolve in the right direction. As drones get more and more common in our everyday environment, this is “killer” feature, pun intented. Drones have been heaven for hobbyists for many years allowing them the joy of building, piloting and seeing the world from above. As drones penetrate the consumer market, anybody can “technically” now pilot a drone and no need to build from scratch. Businesses that saw an interest in aerial shots with precision and accuracy still require someone techie enough to manipulate this engine, and that’s slowing down business. Indeed, the revolution will truly happen once it will be possible for anyone to easily operate a drone to get it to do what brings value to their job. Ultimate simplicity of use and intuitive interface will allow drone adoption. The good news is that, in the consumer market, we’re already seeing autonomous drones that do not require any piloting, whether from a remote control or a smartphone, they’re completely self-flying and will follow you around and avoiding obstacles, but interfaces are still a little clunky and still look very nerdy. This is kinda like the smartphones before the iPhone: very powerful machines with plenty of advanced functionalities accessible to consumers and businesses, but hardly navigable. The iPhone made smartphones usable and even enjoyable through a super simplified user interface. This is what needs to happen to the drone interface to allow literally everyone, at all levels to take advantage of this concentrate of technology. Of course, drones need to add value to consumers and businesses to take-off, but for drones to truly fly everywhere and see the world benefit from the power of drones, it will require a combination of technology excellence to be 100% reliable and safe and incredibly easy to use interface which will make regulations evolve, in the right way. Squadrone System enables anyone to capture any type of data providing easy to use self-flying devices that interact with an ecosystem of connected devices and applications.Squadrone has a proven track record of fast development cycle of intelligent systems. Leveraging on the autonomous flight technology developed for its first product, Hexo+, the company now extends its capabilities to B2B applications.